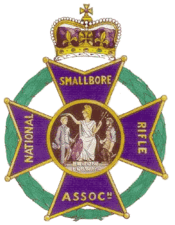 It is approved by the Home Office as a Smallbore Rifle Club and is affiliated to the National Smallbore Rifle Association. Its aim is to provide the activity of target shooting to members of the Scout and Guide Associations, especially in Hampshire. HSRC provides air rifle shooting for Scout Groups and Explorer Scout Units. Each of the County Advisors listed on the contacts page operates a mobile range and can provide all that is needed for a safe and enjoyable shoot in your own HQ. 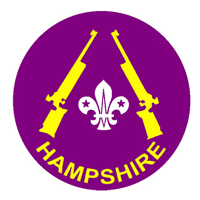 Hampshire Scouts regularly excel at the National Scout Air Rifle Championships and the Scout Inter-County airgun competition and contribute many members to the National Scout Rifle Squad, the Great Britain Junior Rifle and Junior Pistol Squads. Some members have gone on to shoot at as senior Internationals for Great Britain, England, Scotland and Wales in major events including the European and World Championships and in the Commonwealth Games. Competitive “Sporter” air rifle shooting, using essentially unmodified low cost, entry-level air rifles of conventional appearance, offers the ideal way for young people to progress in the sport. It is now possible for under-21s to compete at International level under this code. Find out more about “Sporter Air Rifle”. . . The club also organises the National Scout Rifle Championships at Bisley. As one of the very few Home Office Approved Scout Rifle Clubs, HSRC offers live ammunition target shooting with .22 calibre (small-bore) rifles to Scouts and Guides at ranges near Basingstoke and Southampton.